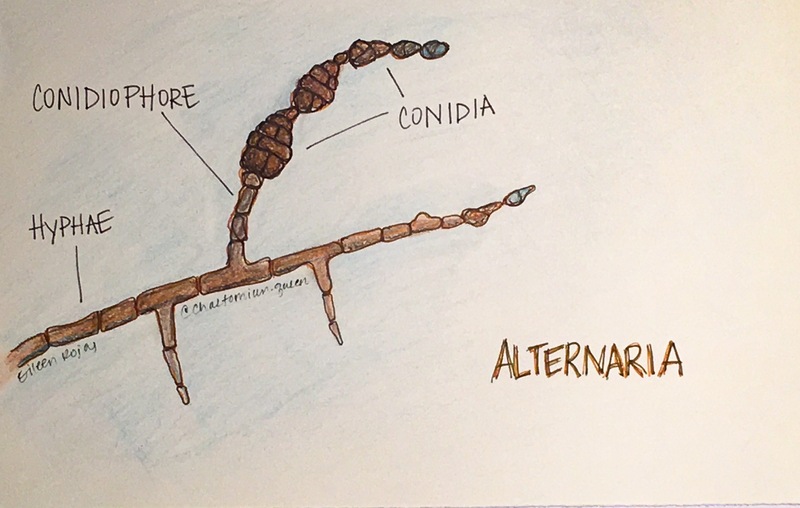 Alternaria is an interesting little critter. 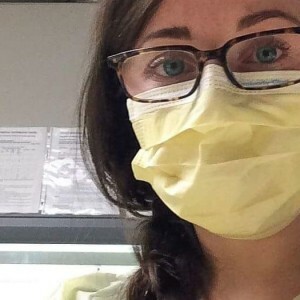 It is sometimes considered a contaminant, but can also cause infection in subcutaneous tissue. In some cases it may cause infection of the nails, eye or nasal sinuses. Additionally, it can create problems with asthma or respiratory allergies. I frequently isolate this organism from cultures of the sinuses. Alternaria is a dematiaceous fungus. 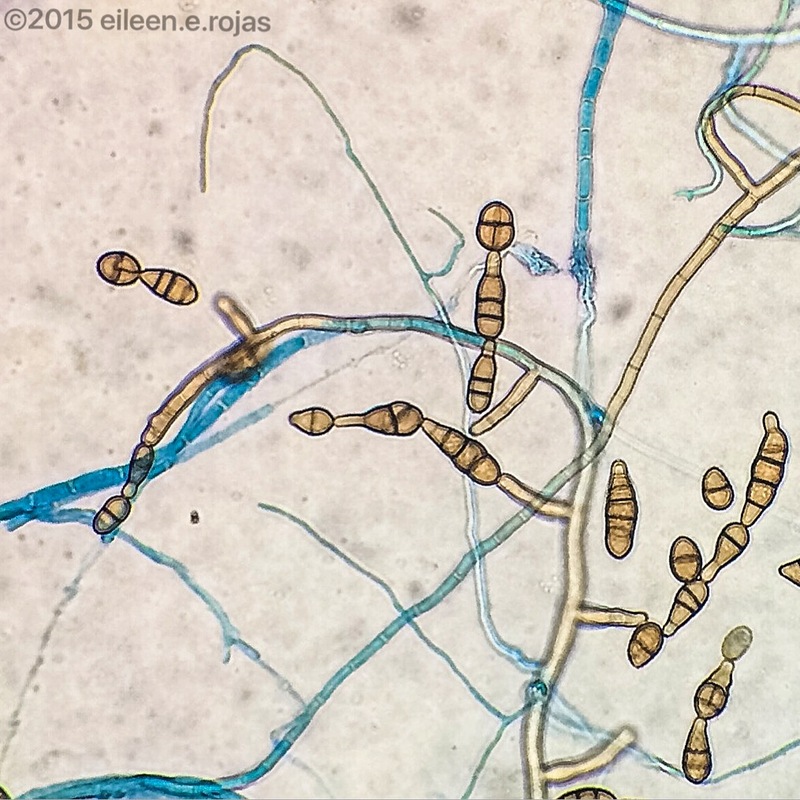 It exhibits brown septate hyphae, and large brown conidia. 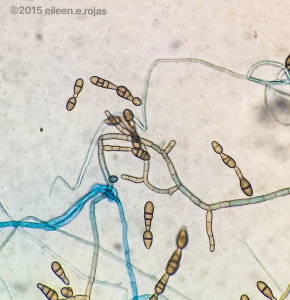 The conidia are muriform and form chains. 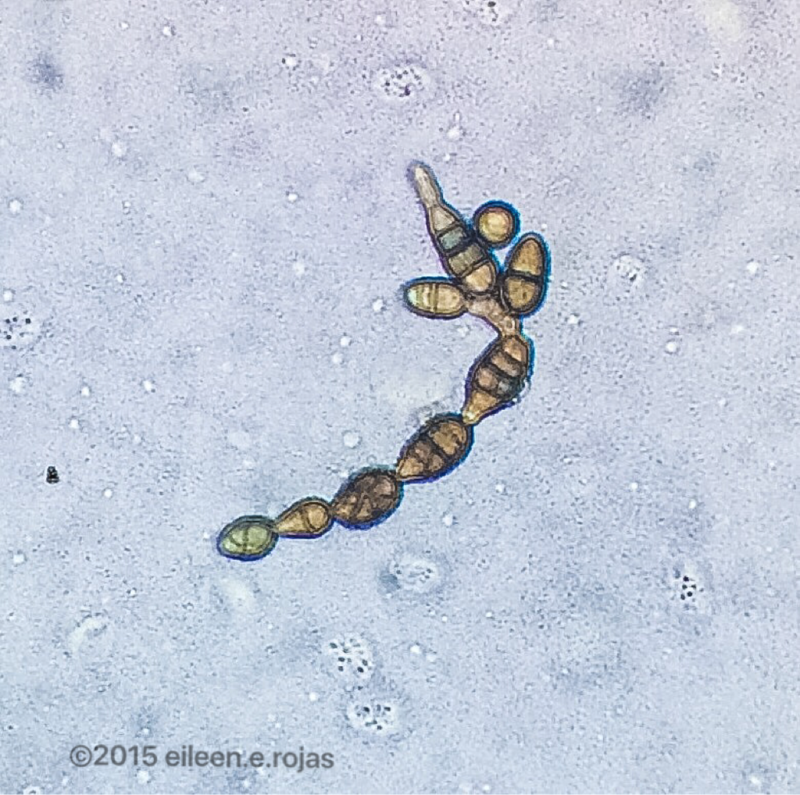 I’ve heard the shape of the conidia described as “drumsticks”. 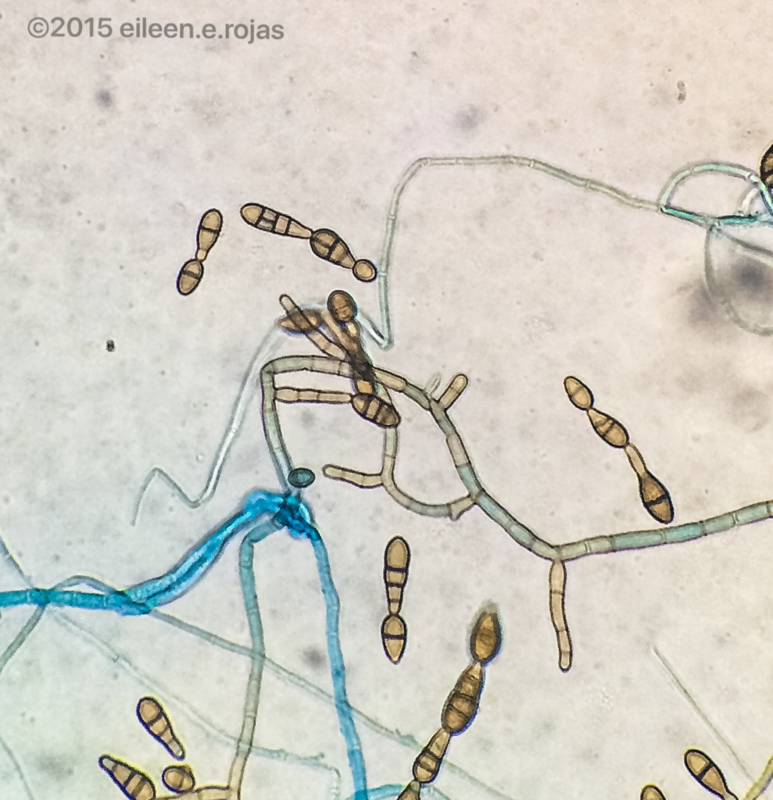 The conidia are usually larger and rounder at the end closest to the conidiophore and is narrower at the apex. 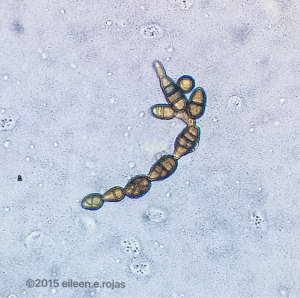 When the conidia form chains, the narrow apex of one conidia touches the next conidia. The colony surface on the agar can start as light grayish and woolly in texture, and can become dark greenish black with age. Sometimes the border of the colony is lighter in color. The reverse side of the agar plate is pigmented black. It grows fairly quickly and is usually ready for identification after 5 days of incubation.